All this week Clearsnap has teamed up with Graphic45. I also love doing hops with Graphic45 because they are fun and easy to work with. Their papers do all of the design work for you and the matching ColrBox Graphic45 Decades inkpads make distressing easy. I received a cool kraft colored box in my goodie box from the companies. 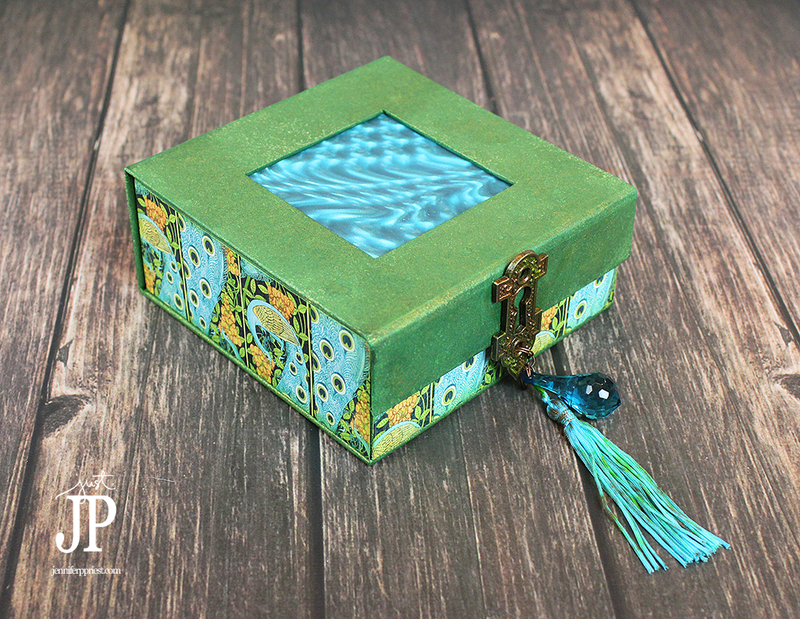 Paired with Graphic45's Artisan Style paper, the box seemed like just the kind of thing Xaver would like. 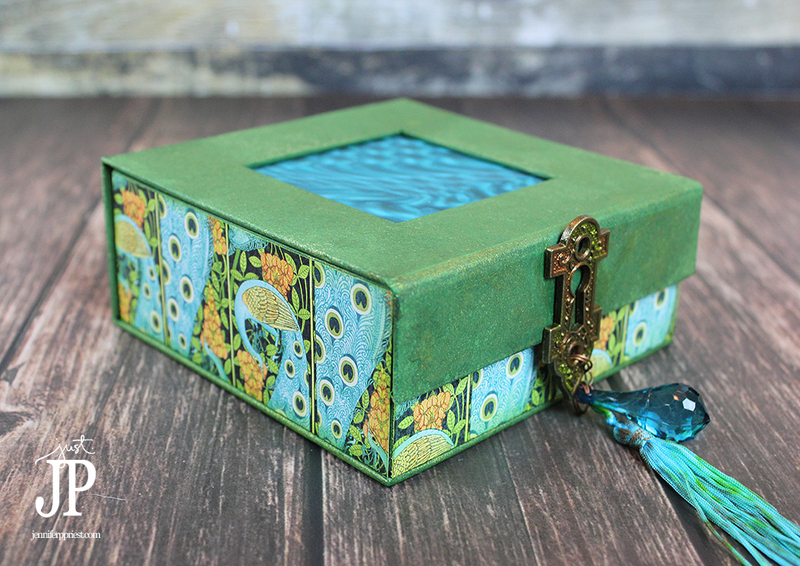 I decided to create a masculine altered box to hold coins, ticket stubs, and any other trinkets Xaver might have laying around. I kept the box simple because well, guys don't necessarily like flowers glued all over the place. 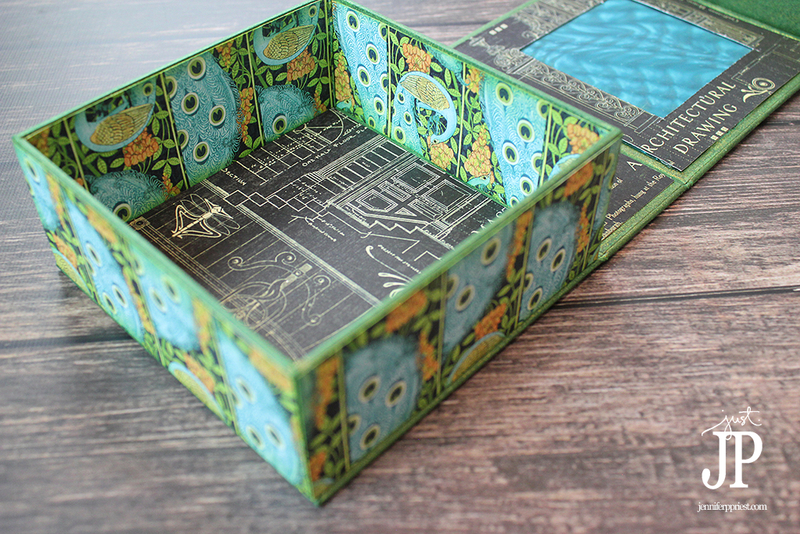 The Graphic45 box comes with paper inserts to make a mini book or cards but I left those out. At some point later, I might add a mini book to the inside of the box but for now, I envision it sitting on Xazver's night stand holding all of his tchotchskys. The magnetic closure is really strong and I added a “handle” using a metal keyhole from the Graphic 45 Staples Collection. 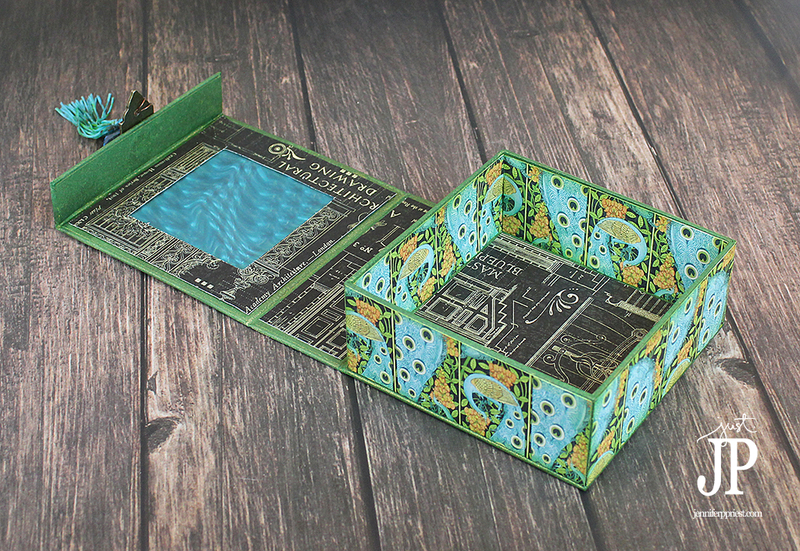 I lined the inside and sides of the box with paper from the Graphic 45 Artisan Style collection, inking the edges with ColorBox Graphic45 Decades Antiquing Dye ink in Antique Moss. 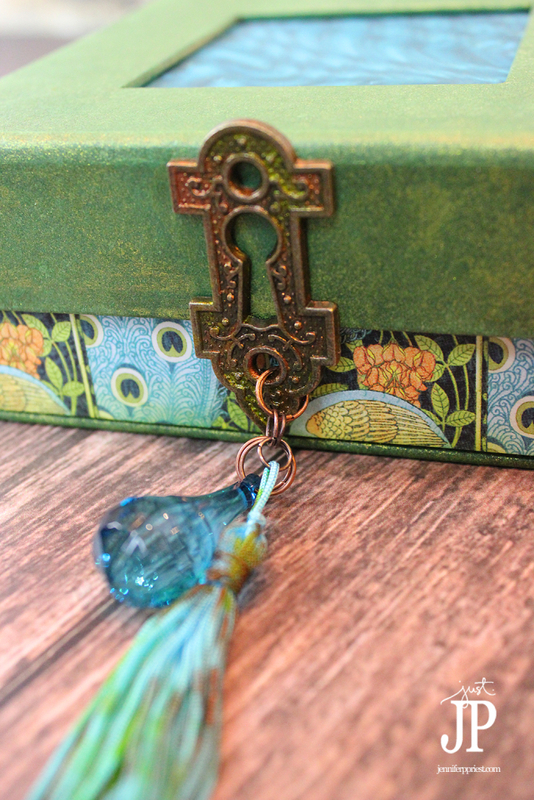 I used Smooch Accent Ink to add color to the metal keyhole as well as distress the bright blue tassel I had in my stash. Smooch Accent Ink works great on synthetic an non-porous surfaces, like the polyester tassel I used. Regular dye ink would stay wet on the surface of the tassel for days so Smooch Accent Ink is a better choice as it dries in minutes. The box has a hole in the top. 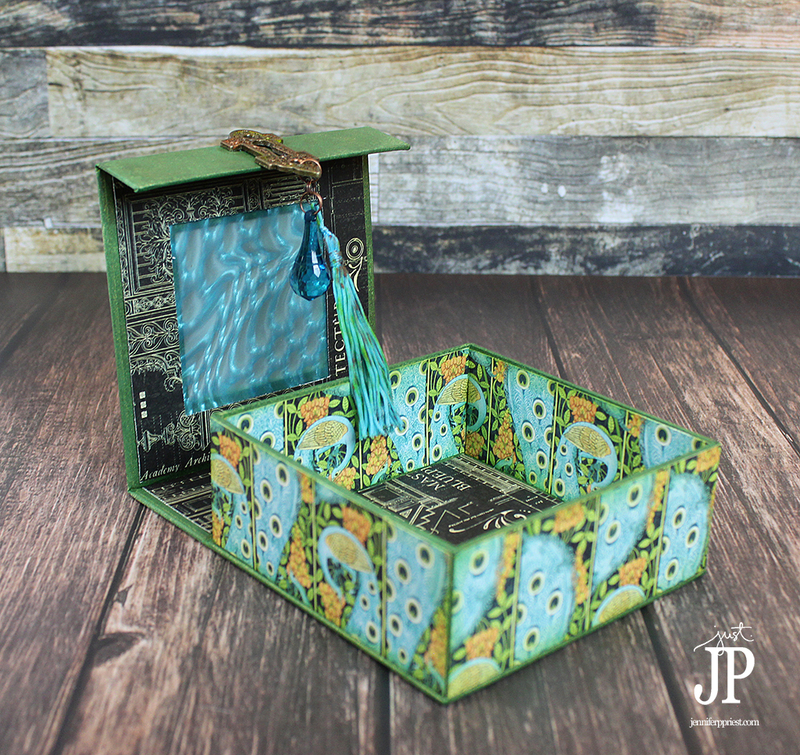 I thought about turning it into a shadow box but decided instead to cover the hole with Rowlux Illusion Film to match the feel of the peacocks in the Graphic45 Artisan Style Patterned Papers. 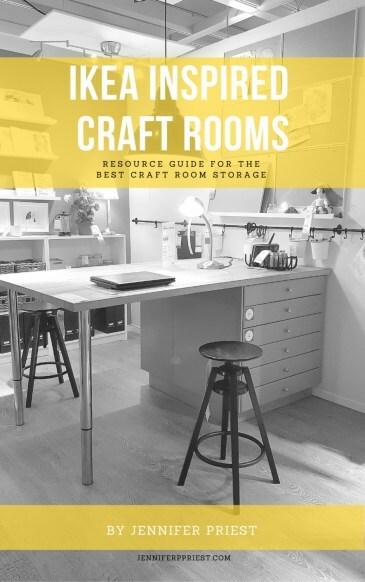 I hope this box project inspires you to think of the men in your life and how your crafts can be practical organizing solutions for them as well as yourself. This is so fantastic – I really love how you altered it. Amazing !! Thank you EVER so much for sharing.